Almost everyone agrees that Alcoholics Anonymous has the best treatment program for alcoholics. AA's simple 12-step program is followed by alcoholics all over the United States, and AA's method for treating alcoholics has been adapted for other addictions as well--including the addiction to drugs. 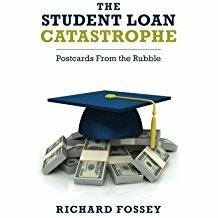 Perhaps the higher education industry should adopt an AA-style 12-step program to treat its addiction to the federal student loan program. After all, higher education's dependence on federal student aid money really is an addiction. For-profit colleges in particular could not survive a week without regular infusions of federal cash. But the Obama administration and Arne Duncan's Department of Education treat the student-loan mess as if it were just an irritating problem and not a full-blown crisis. It's like Aunt Sally's tolerance for Uncle Ed's drinking binges--she just smiles while reassuring herself that Ed maybe drinks just a wee bit too much. And President Obama's announcement to expand the Pay As You Earn program shows us that he is in denial about the magnitude of the student-loan crisis. His administration's decision to expand the program, like its decision to continue strengthening the regulation of the for-profit industry, shows that President Obama and Arne Duncan know that the student-loan mess is serious. But they want to address the problem like Aunt Sally deals with Uncle Ed's drinking--they just want to water down the whiskey. Let's face it, in spite of the New York Times' sycophantic praise, Pay As You Earn is nothing more than a plan to stretch students' 10-year student-loan repayment obligations to 20 years. Yes, this will reduce borrowers' monthly payments, which will give college-loan debtors some short-term relief; but borrowers will be paying on their loans for a majority of their working lives. Is that a real solution? Second, although I haven't seen any financial analysis to back me up on this observation, I suspect a lot of people who elect the government's income-based repayment options for paying back their loans won't be making payments large enough to reduce the principal on their debt. When their loan obligations are discharged after 20 years, millions of people will still owe as much as they borrowed. How can that be a good thing? So let's look at that 12-step plan. Step number one is to admit that you have a problem and are powerless to control it. The Feds could follow that first step by releasing the real student-loan default rate--not that phony three-year rate it releases every October. According to DOE's latest report, about 15 percent of recent debtors defaulted within three years of beginning their loan repayment phase; for students who attended for-profit colleges, the rate is 21 percent. Those numbers are bad but they dramatically understate the true default rate. Many for-profits, community colleges and some traditional four-year schools have hired so-called "default prevention" firms to contact distressed student borrowers and encourage them to sign up for economic hardship deferments. Students who obtain these deferments--which are quite easy to get--are not counted as defaulters even though they are not making loan payments. Just facing up to the reality of how many millions of people are not paying back their loans would be an admission that the student-loan program is out of control. That's step number 1 of the AA's 12-step plan. Another important step in AA's 12-step program is to make amends to the people you have injured. I believe that is step number 9. And of course the Obama administration, Congress and the nation's colleges and universities haven't made amends to the people who have been hurt by the student-loan program. And until they make amends they haven't done what is necessary to break the higher education industry's dependence on federal student aid money. What should be done? As I have tirelessly advocated, Congress needs to amend the Bankruptcy Code to allow insolvent student-loan debtors to discharge their student loans in bankruptcy so long as they file in good faith. Second, the federal government should stop garnishing the Social Security checks of elderly student-loan debtors who defaulted on their loans. And third, the for-profit college industry needs to be shut down. Of course none of these things are going to happen. Our government will continue to hide the true magnitude of the student-loan default rate, and it will continue to let millions of people suffer who have no reasonable hope of ever paying off their student loans. And just like Uncle Ed, who drinks in secret, our nation's colleges and universities will continue abusing students by forcing them to borrow more and more money. 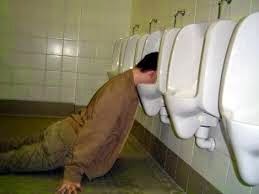 Eventually, Uncle Ed will kill himself from excessive drinking. And eventually, higher education's addiction to federal student aid will destroy the integrity of our nation's colleges and universities, which were once the envy of the world. No one knows just how Uncle Ed will die--liver disease or a fatal car accident. And no one knows just how low American higher education will go in terms of its degradation. But the future is bleak for both of them. Student Borrowers and the Economy. New York Times, June 11, 2014, p. A20.